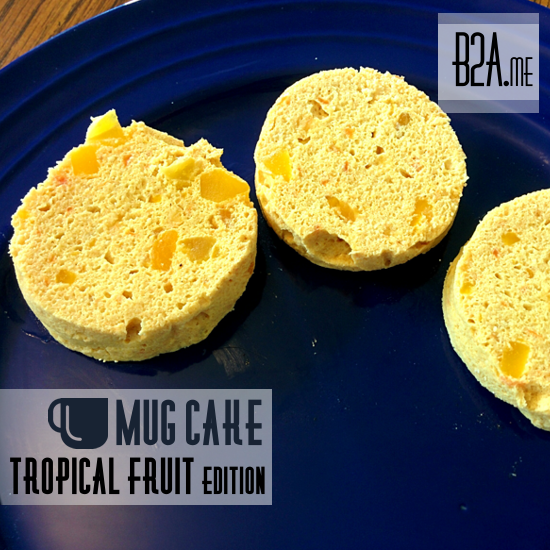 Tropical fruit – papaya, mango, and pineapple – flavored cake. 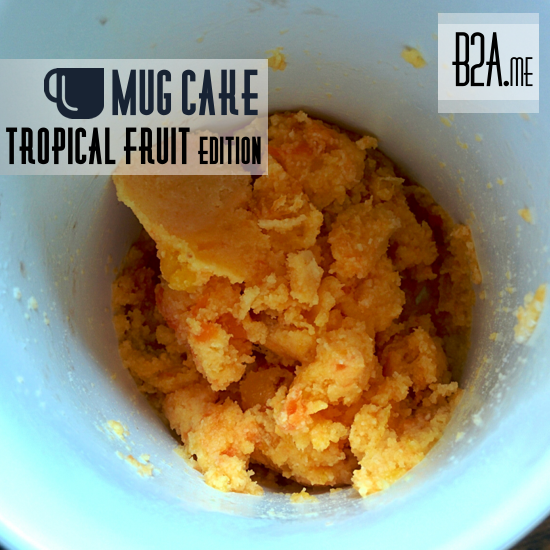 Mug Cake is the most amazing invention EVER! I won’t belabor the point further. Mix all the liquid ingredients, sans eggs, and THEN add the flour. 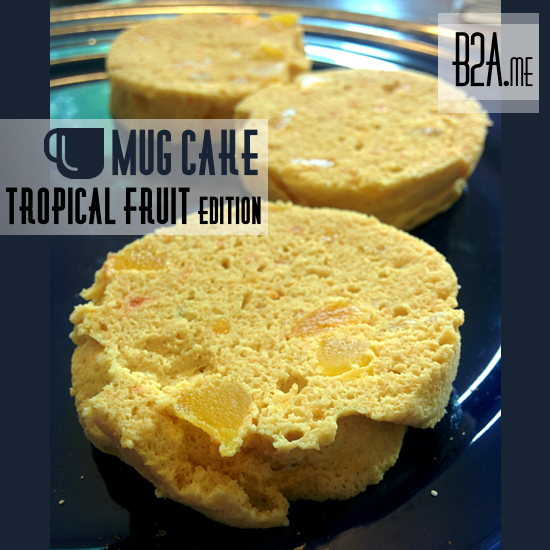 Mixture of fruit, sweetener, butter, and glorious coconut flour. Everything but the eggs. The flour EASILY mixes and does not clump. The picture on the left is an idea of what that looks like. After the ingredients are satisfactorily mixed, add eggs. The chop that deliciousness into several mini-cakes and enjoy! Sliced tropical fruit cake with succulent fruit pieces. 1. Mix liquid ingredients [except for eggs]. 2. Add coconut flour and mix thoroughly. 3. Add eggs and mix. 4. Microwave for 90 seconds.